This year in first has been quite an adjustment for me! I really hope to be back with some new content for you, but for now, here is some fun activities that we did in Kindergarten for Gingerbread week! 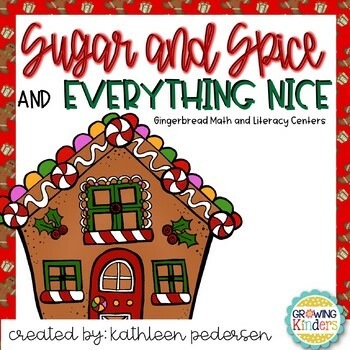 I am almost finished with my first grade December math centers – I HOPE to have them finished by tonight! Stay tuned! I keep these scrambled sentences in my writing center for my kiddos, and they LOVE them!